Jenny, a Young Ambassador for the two charities she raises money for – Glasgow Children’s Hospital Charity and The Catherine McEwan Foundation, was diagnosed with Ulcerative Colitis, a type of Inflammatory Bowel Disease (IBD) when she was just four-years-old. Following numerous hospital visits, at the age of six, Jenny had her first of three major operations to remove her large bowel. Jenny has for over nine years set herself fundraising targets and dedicated her time to planning different fundraising events to make these targets happen. Jenny has bag packed, had bake sales, waitressed in restaurants, and started her annual ‘Tea Jenny’, an annual lady’s charity lunch. 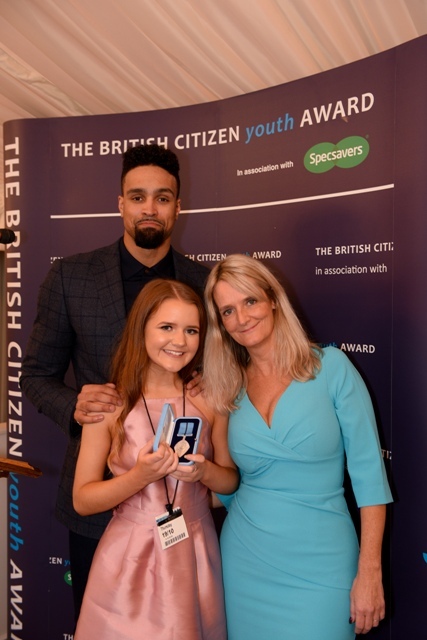 As Jenny matured she realised the importance of raising awareness and was brave enough to speak about her life and how she copes with her illness at many large charity events, offices or schools often in front of hundreds of people. Discussing a difficult condition, Jenny has encouraged many children not to be ashamed of their illness.